Andy Rathbone » How can I retrieve a forgotten Windows 7 password? How can I retrieve a forgotten Windows 7 password? Q: My friend forgot his Windows 7 password. If I give him my Windows 7 System Repair Disc, can he restore his system to a point before he gave it a password? And will my System Repair Disc work on his computer? A: First, a lost password isn’t a problem in Windows 7. 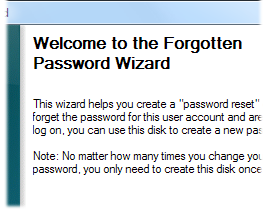 It’s no problem at all, if you create a Password Reset Disk before you forget the password. Click the Start button, click Control Panel, click User Accounts and Family Safety, and then click User Accounts. In the left pane, click Create a Password Reset Disk, and then follow the instructions. Store the password reset disk in a safe place. You can create a Password Reset Disk from a memory card or USB flash drive. But if you’ve neglected to create a Password Reset Disk, you still have a few less forgiving options. Let’s start with the System Repair Disk. System Repair Disks are generic. Your friend can use one you created on your own PC; Windows 7 doesn’t care about the System Repair Disk’s ancestry. And the System Repair Disk will let you use a Restore Point on the computer with a forgotten password. The catch? That computer needs to have a Restore Point that was created before the computer had a password. Unless your friend password-protected his computer fairly recently, he probably won’t have a Restore Point that old. So, his options might lie with a third-party website called LoginRecovery. That site gives you instructions for creating a bootable CD. Once you’ve created the CD, you place the CD into the computer with the forgotten password, and turn on the PC. The PC awakens, reads the information on the CD, and sends the encrypted password to the LoginRecovery website. The website tries to crack the password. If the site is succeeds, it lets you know. And, after you pay about $35, the site gives you back your forgotten password. If it’s not successful, which happens if the password is very secure, you’re out of luck. Haven’t created a Password Reset Disk yet? Jump back to the top of this post for instructions, and create one now. It’s time. 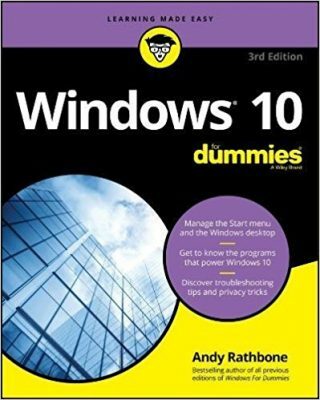 Posted: September 12th, 2011 under Safety, Windows 7.